Ancestry: Levi Phinney; Levi Phinney; Isaac Phinney; Thomas Phinney; John Phinney; John Phinney; John Phinney, Dea. Born: November 20, 1845 in Sandwich Ma. Died: November 26, 1918 in Bourne Ma. at 73 yrs, 6 d.
Where Lived: Shore Rd. in Pocasset Ma. Married (1): November 12, 1871 in Sandwich Ma. 1, Ada Lincoln Phinney Collins; (August 24, 1874 – October 10, 1937); Married Alton Sidney (Geggatt) Collins (1877 – 1967) (Ezra Fish Geggatt & Emily F. Landers; Alton was adopted by Alonzo Orlando Collins & Salome S. Landers) on April 4, 1900; They had 3 children; Alton married (2) Eleanor Frances Wright Low (1904 – 1996) (Edgar Wright & Ellen Mary Graham (Stewart)) in Bourne Ma. on April 25, 1940; Eleanor married (1) John Fitchet Low (1895 – 1941) (John Hill Low & Davine Small) in Bourne Ma. 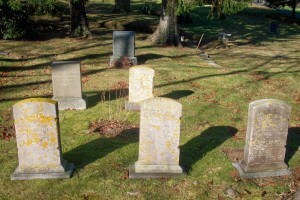 on November 8, 1924; They were divorced; John married (2) Martha Elizabeth (Anderson) Waddell (1889 – 1957); Ada & Alton are burried in Cataumet Cemetery; Eleanor is buried in Pocasset Cemetery; John & Martha are in Oakland Grove Cemetery in Bourne Ma..
2. Roland Sumner Phinney; (December 18, 1878 – June 9, 1939); Married Sarah Maria Barlow (1885 – 1957) (Edward Wilton Barlow, Capt. & Elizabeth/Lizzie Wright) in 1908; They had 2 children; Roland & Sarah are buried in Pocasset Cemetery. 3. 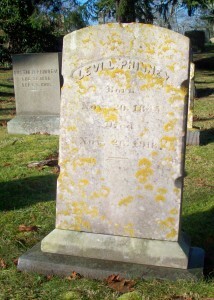 Austin D. Phinney; (August 22, 1886 – September 5, 1906); Austin is buried near his parents in Cataumet Cemetery.